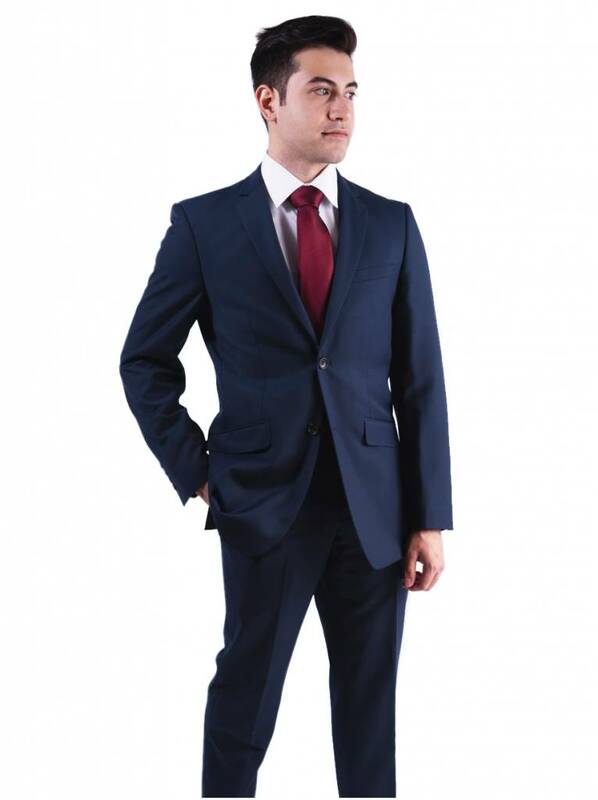 We are proud to introduce our most popular suit for grooms and his groomsmen. 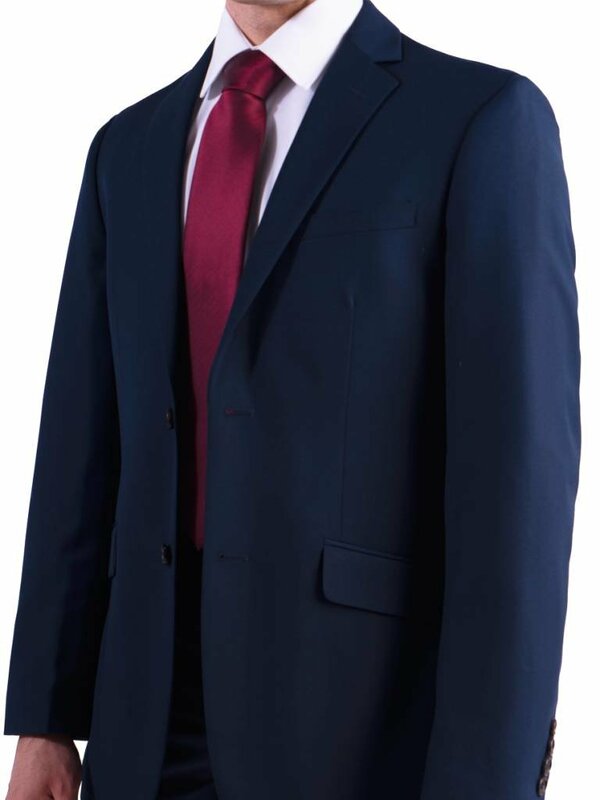 Specifically designed to be noticed, this suit will have you standing confidently at the altar with sharp tailoring for an irresistible appearance. 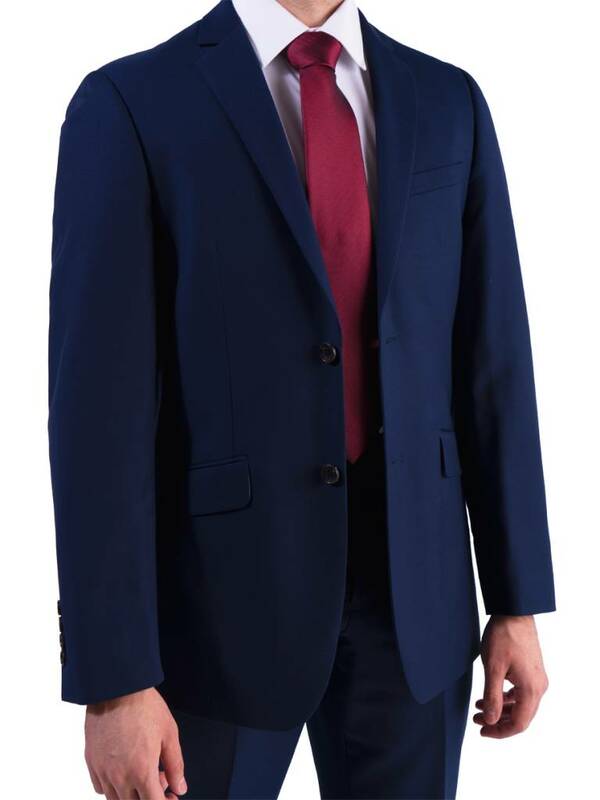 This suit’s vibrant medium blue hue pairs perfectly with any wedding color palette imaginable. We finished the suit with a classic notch lapel collar and two-button jacket closure and paired it with 36” inseam, unhemmed trousers. 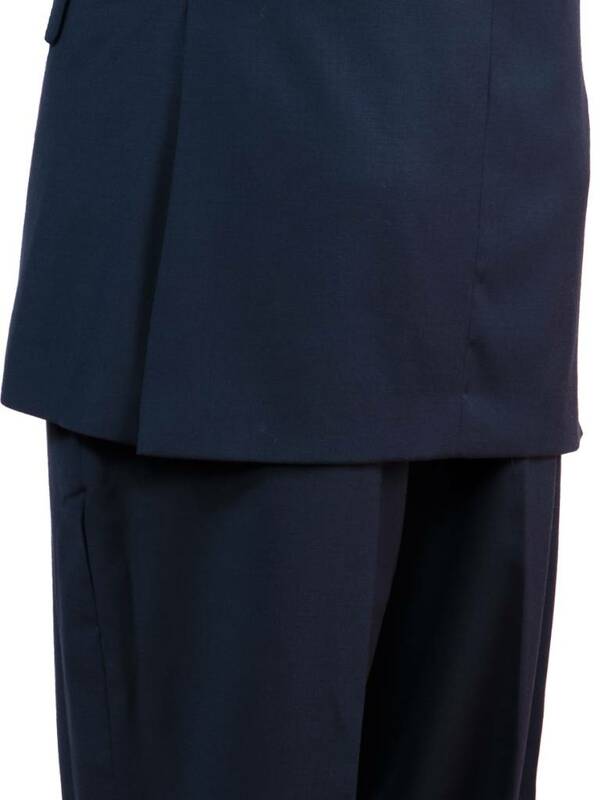 Tailored from our fine poly/rayon blend, this stylish yet comfortable suit comes in a classic or slim fit of your choice. * We recommend each groomsman in your wedding ensemble to place orders within the same week well in advance of the event date to ensure size availability and color matching. We are pleased to equip you and your groomsmen with our wedding day survival kit! The I Do Blue package starting at $180, is delivered thoughtfully to your door and includes a jacket, trousers, shirt, and tie of your choice. In addition, we provide a checklist, hanger and garment bag to make your wedding day wrinkle-free and hassle-free. Simply customize your fit, choose from the sizing guide, order, and voila! It’s yours to keep forever. Both modern and unique, these versatile black square cufflinks feature a silver frame to lighten up your look.